Former India skipper Bhaichung Bhutia said India needs academics in every sport modelled on the lines of the Gopichand Badminton Academy in Hyderabad for the country to excel in the global sporting arena. Bhutia, India’s lone flag-bearer for more than a decade, also said hosting the FIFA U-17 World Cup is the best thing to happen in Indian football. “Today we are complaining about our performances in the Olympics. People didn’t know about Dipa Karmakar till the other day but Sindhu was lucky to train in Gopichand’s academy. His academy is one of the biggest examples in India on how to succeed. We need that kind of support in other sports as well. Gopi’s academy has shown how to spot talent and give them the right support and as a result we already have two Olympic medals from the academy,” Bhutia told reporters here after launching the Bhaichung Bhutia Football Schools to spot and nurture talent in the Garden City. 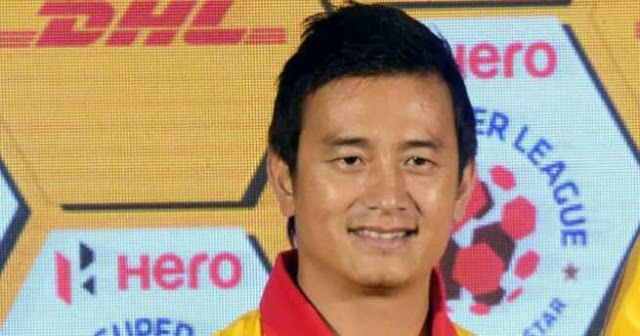 Bhutia said AIFF is now relying on former footballers to hunt for talent to pick the best team for the U-17 World Cup. “We sent our coaches and scouts to different parts of the country to pick the best talent. The national U-17 coach is sounded out about any talented player and gets a week’s trial in Goa. If he is selected to the Indian team the scout is also rewarded financially for spotting the talent. That’s where we bypass the state associations,” he said. “I don’t think the merger between ISL and I-League is ever going to happen. We have suggested that there has to be a promotion and relegation from ISL. To start with we can have promotions to ISL so that people make investments as teams have the potential to make it to ISL,” Bhutia said.